Ultrasound is an energy source that has the potential for enhancing many stages of experimental analysis, but analytical chemists generally have limited knowledge of this technique. 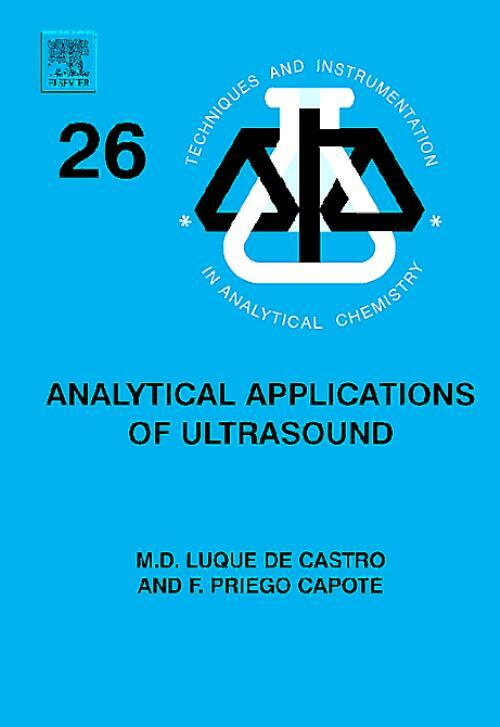 Analytical Applications of Ultrasound lays the foundations for practicing analytical chemists to consider ways of exploiting ultrasound energy in their research. This timely and unique book covers a broad range of information about ultrasound, providing advances in ultrasound equipment and demonstrations of how this energy has been used to enhance various steps of analysis. Given the limited literature on analytical applications of ultrasound, the authors provide information from other sources that suggest ways in which we can use it in the analytical laboratory. The authors discuss the principles of ultrasound and the variables we must consider in adapting ultrasound to different problems.